Proper set up, maintenance and use of ladders and stairs is critical to preventing falls and injuries. What’s more, ladders (29 CFR 1926.1053) was the sixth most cited OSHA violation in 2018. This online course provides essential information on potential hazards and protective measures that can prevent injuries. 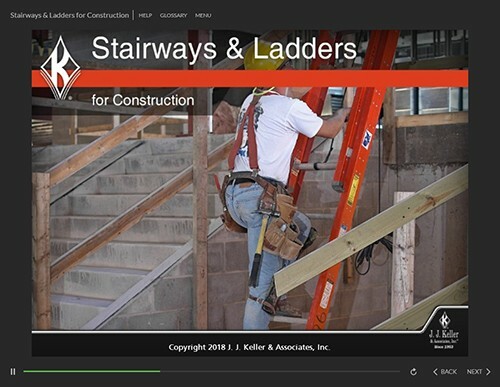 Thank you for your interest in previewing the Stairways & Ladders for Construction online course. Please register or log in to watch free previews, browse the course library, purchase training points, and more. 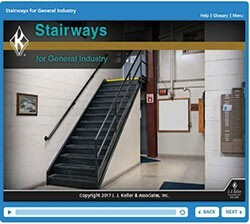 Designed to help learners understand OSHA stairs requirements and identify ways to prevent injuries while using them. "Safety is a priority at Quala. With J. J. Keller, we're confident our employees are getting all the training they need."